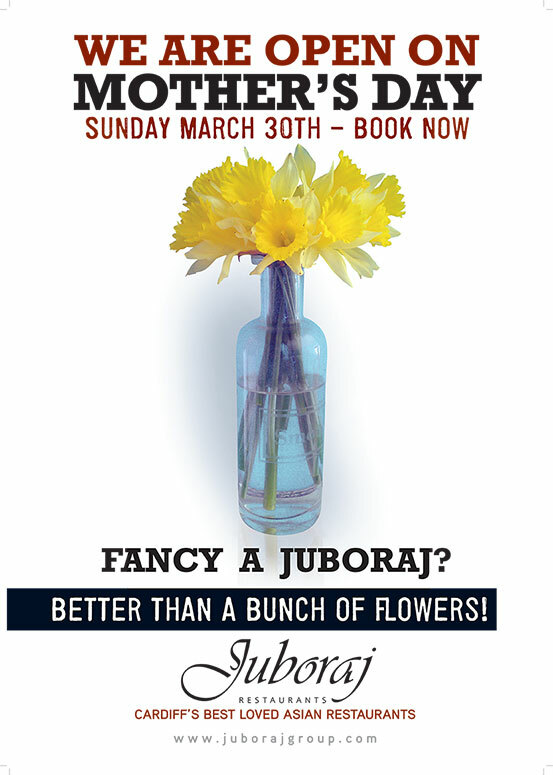 All Juboraj Restaurants are open on Mother’s Day this year so why not book a special meal for your mum. It’s got to be better than a bunch of flowers?! Please see respective pages for each restaurant for details. Or call the restaurant of your choice for further information or to make a reservation.